This year, environmentally-friendly cars made an appearance at nearly every auto show out there from Paris to Los Angeles. 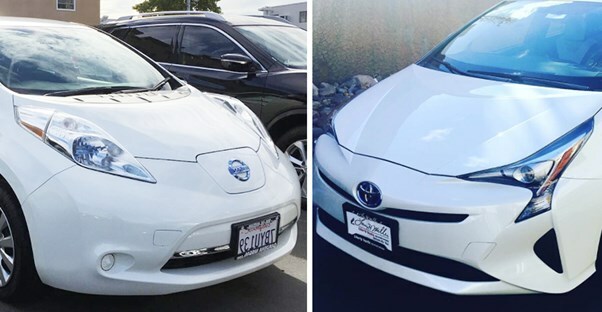 While you still won’t be able to get the now-legendary Tesla Model 3, you can still get the new 2017 Nissan Leaf or 2017 Toyota Prius four door. These two eco-friendly cars are the best in the market, but how can you choose? With this breakdown of course! Unlike fuel economy, the price of the Prius and the Leaf is a little easier to examine. The 2017 Toyota Prius Four Door is the cheaper option with a starting MSRP of $29,135. Comparatively, the Nissan Leaf S has a starting price of $30,680. The price difference is $1,545, which may not be that much more than the Toyota over time. Without considering your auto loan interest, the extra amount accounts for an additional $25.75 monthly with a 60-month term.